Cammie Morgan and the gang from the Gallagher Academy for Exceptional Young Women are back for their final mind-boggling and nerve-racking mission before leaving their beloved boarding school and stepping out into the real world. 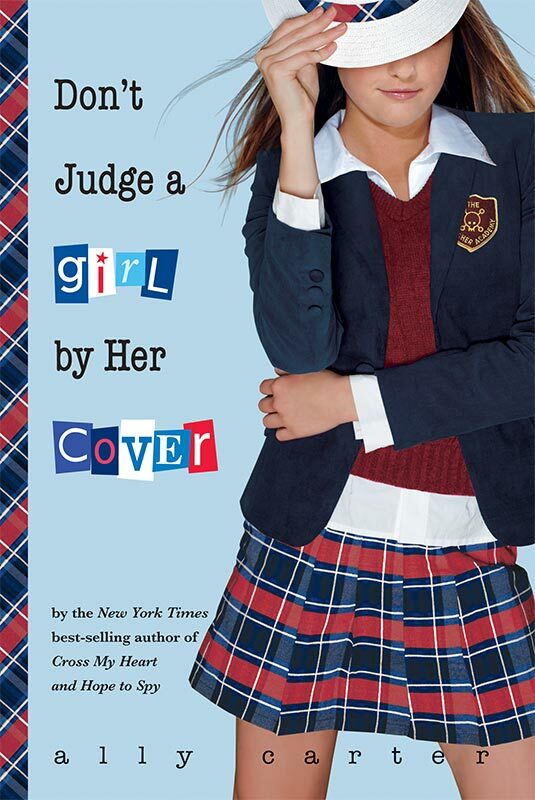 The sixth and final installment of the Gallagher Girls series is scheduled to be released this coming September 17, 2013. Here are the US (left) and UK (right) covers of United We Spy by Ally Carter. Is that cover awesome or what!? And the title is great as well. It seems so suited to what readers are expecting. Although I think they could have done better with the background color for the US cover, it still looks pretty good. Ah! Who am I kidding? I love both covers. But I prefer the flair of Cammie's graduation gown/toga and the diploma on the US cover than the black hat she wears on the UK cover. It makes you feel that it's really the end of the series, like a silent good bye to all the fans and readers. Okay... now that the final covers are out, I just want to take a few moments to marvel at the sight of the Gallagher Girls series book covers together. This has been one of my favorite books and one of the series that have the loveliest covers around (both US and UK). And I will surely miss waiting for the next cover of the plaid-spined book I have come to love. So... what do you think of the cover of the final book? How about the covers of the whole series? This is great, I love love this series so much!! Plus the covers are too beautiful;]. I decided to make this the book that I am waiting for this wednesday. I hope you review this book if you read it, I'll review too and then we can compare thoughts. :D I'm a new follower, I hope you'll come visit my page as well. I'll post a link to my page below.